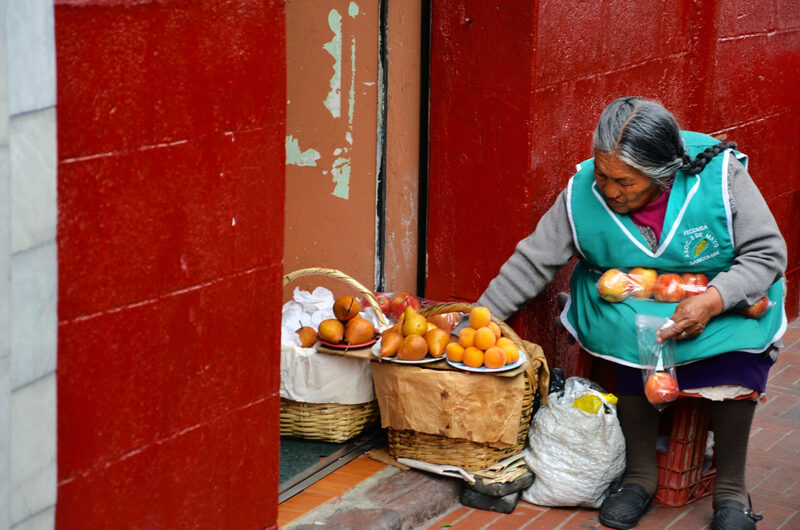 Ecuador may just be the perfect introduction for those new to South America. It offers the peaks of the Andes Mountains, the deep Amazon Rainforest, quaint markets, beaches and colonial architecture. That’s not to mention the chain of volcanoes unlike any other. With breathtaking landscapes and a fascinating animal kingdom, the incredible nature of Ecuador is unmatched – and on top of it all, its people are good-natured, generous and proud of their country, which is making big steps towards its bright future. From Europe: British Airways goes via London and Miami or Dallas to Quito, as well as Frankfurt via Charlotte and Miami or London and Miami to Guayaquil. There are many flights operating to Ecuador from Germany, Austria and Switzerland. They are not non-stop, but most require only transfer, with a flight time of 14 hours. 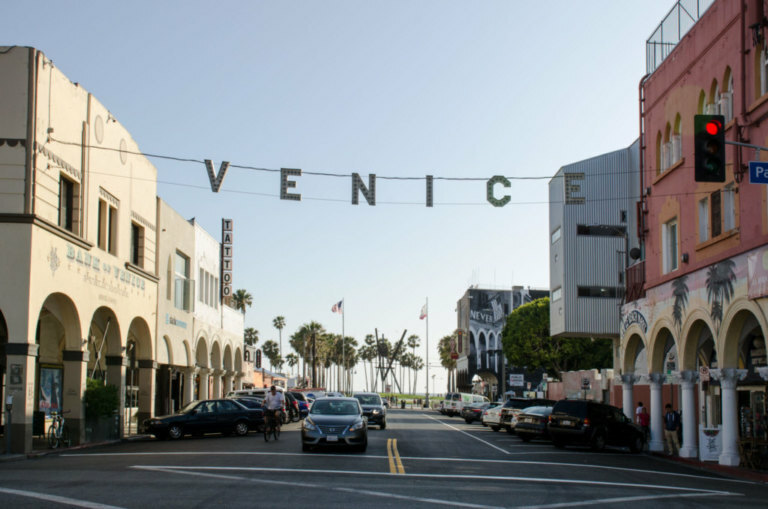 Most stops are in Miami, Houston or a South American capital city, or even in a European hub like Paris or Amsterdam. Lufthansa goes from Frankfurt to Bogota, from which Avianca (operated by AeroGal) goes to Ecuador. Lufthansa also goes to Panama City, then connected to Ecuador with Copa Airlines, or to Houston then on with United Airlines. KLM goes from Amsterdam to Ecuadorian cities non-stop, with numerous connections from European airports. From Quito, Delta Airlines goes via Atlanta and Amsterdam then to Frankfurt. Similarly, Air France goes from European airports to Paris, then direct flights to Bogoto to Ecuador directly with Avianca, or with Copa Airlines to Ecuador. The Spanish airline Iberia offers shuttle flights to Madrid from various airports, as do Lufthansa, Swiss Airlines and Austrian Airlines. From there, it goes directly to Quito or to Guayaquil via Bogota. LATAM Airlines from Chile (LA), connects Frankfurt to Madrid, before continuing to Quito and Guayaquil. Air Europa flies from Frankfurt to Lima via Madrid, before connecting to Quito or Guayaquil with TAME. From the US: United Airlines (UA) flies non-stop from Houston to Quito. Delta Air Lines (DL) also has connections from Atlanta to Quito. Avianca (AV) connects the US to Ecuador via Bogota while Copa Airlines (CM) offers flights via Panama City and LATAM goes directly to Guayaquil, then to Quito. Ecuador is easily reached from several Central American countries. However, those travelling by car or bus should keep in mind that the Pan-American Highway is interrupted in Panama and only begins again in Columbia. The 200km in between, known as the Darien Gap, is undrivable rainforest notorious for drug smuggling. From South America, however, Ecuador can be reached by overland bus or car without a problem. You can visit Ecuador without a visa, but you may be asked about your reason for travel and to provide evidence of a return or onward flight/bus ticket when you arrive. On arrival in the country, you’ll normally be allowed to remain in Ecuador for up to 90 days per year. U.S. citizens that travel for business or tourism purposes to Ecuador, don’t need a visa for stays up to 90 days in any 12-month period. If you are from any other country than the ones mentioned above, please refer to the visa information given by your country’s authorities. 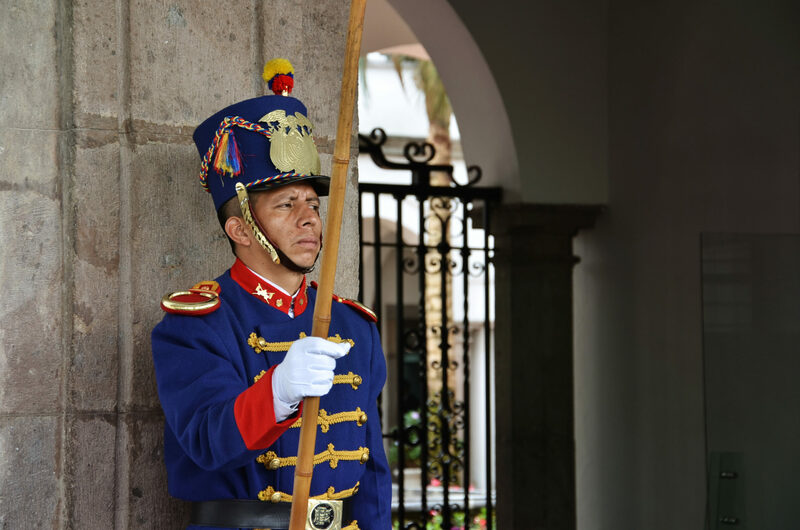 Most Ecuadorians speak Spanish, the official language. There are also 23 indigenous languages, including one of the nine Quechua languages, spoken by around 2.5 million people in Ecuador. Other pre-colonial indigenous languages include A’ingae, Achuar-Shiwiar, Awapit, Cha’palaachi, Paicoca und Shuar Chicham, Tsa’fiki and Wao Tededeo. Even though English is mostly understood in larger cities, it will not get you far in rural areas – at least not outside hotels and restaurants. A basic understanding of Spanish is very helpful. 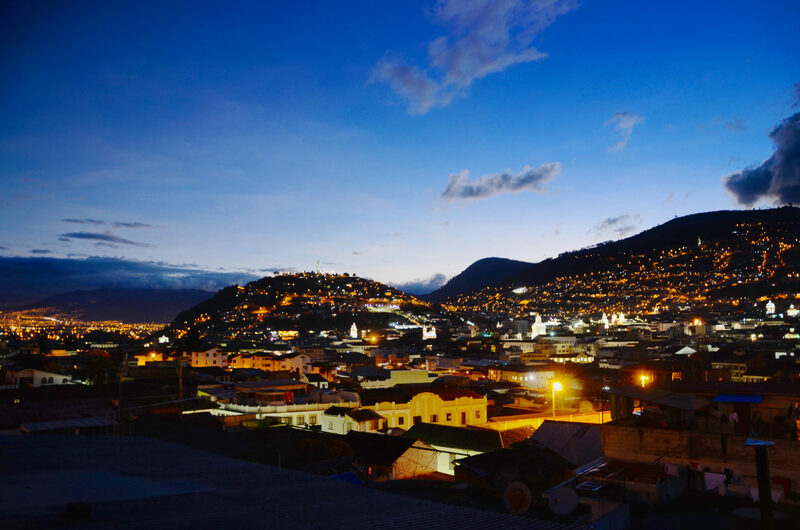 Due to the varying microclimates of Ecuador, there is no real best time to visit. Even in the rainy season, it does not always rain every day. Its location on the equator means there are large temperature fluctuations. From a climatic perspective, there are no four seasons, just two with more or less rainfall. In the highlands, there are particular large changes in temperature with sunny mornings and rainy afternoons. In the Amazon Basin, as in the northern coastal lowland, it is hot and humid, while the coast has rain from north to south. The driest months are still June to November, while the best time to bathe is December to May. In the Galapagos Islands, the first half of the year is mostly very sunny, with a water temperature of 23 degrees, and only a few tropical showers. The second half of the year is very dry. The official currency in Ecuador has been USD since 2000, replacing the sucre. There are still coins from the old currency in circulation, often given as change and having the same value as USD. Depending on the current exchange rate, it is good to buy USD at home then bring them to Ecuador, as the rate is better in Europe. Bring notes up to $20, as many places do not have enough change. Casas de cambio can be found in big cities if you do want to exchange, but are uncommon outside of these. MasterCard, Visa and Diners Club are mostly accepted in large shops, restaurants and hotels. EC cards do not currently work in Ecuadorian ATMs. Luxury hotels, hostels, bed and breakfasts – in Quito and Guayquil, there is a large range of accommodation options. In high season, bookings must be made at least a week in advance. In comparison to European prices, Ecuadorian hotels are affordable. In the higher-end ones, 5% tax and 10% tip is charged, with 5% in smaller hotels. Camping is also possible, even if the choice of campsites is not ideal. The best ones are owned by European or US firms. 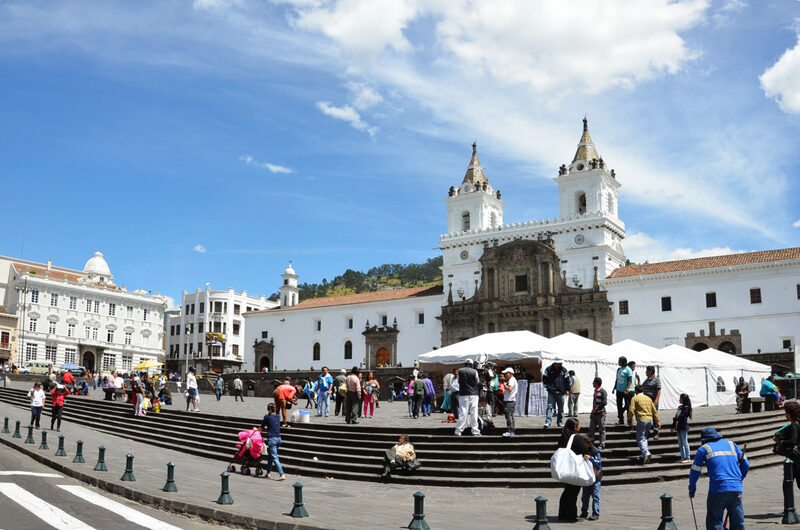 Ecuador is relatively safe to travel to, but common sense should be applied in Quito, Quayaquil and Cuenca to avoid becoming a victim of theft – do not flash around expensive items like electronics or jewellery. It is best to stay in a group. Be especially careful in areas bordering Columbia – there is an increased risk of muggings in and around Esmeraldas and Santo Domingo. The foreign office recommends checking current security advice before travel. Credit card fraud, distraction methods, sedative drugs accompanying robbery are common. Check you are getting into a legitimate taxi – only yellow taxis with an orange licence plate and car registration number on the side are authorised. The police can be reached at all times at 911. Ecuador lies in an earthquake zone and has many volcanoes. On 16th April 2016, there was a heavy earthquake in the coastal area between Esmeraldas and Manta, killing 663 people. This region is also prone to aftershakes. The volcanoes Cotopaxi, Tungurahua and Reventador are under constant surveillance. Travellers should get informed before their trip by checking the site of the Instituto Geofísico. Taking a plane to get from A to B in Ecuador is common. The most important airports are Quito, Guayaquil, Cuenca, Coca, Manta, Ambato, Esmeraldas and Latacunga. TAME is the national airline of Ecuador, regularly flying between Quito and Guayaquil, Quito and Tena. LAN Perú goes from Quito and Guayaquil to Galapagos province, as well as between Qutio and Guayaquil and Quito and Cuenca, capital of Azuay province. LAN Ecuador does direct flights between Quito and Guayaqiul, while LAN Airlines connects Quito and Manta. Smaller airlines fly to the coast and eastern regions of Ecuador. There are daily flights from Quito and Guayapil to the island of Baltra. From Quito International Airport, buses and taxis go 8km north into the city centre. Guayaquil is 5km north of the city centre and also has buses and taxis. Ecuador has a good road network, even if street conditions are often not good – potholes and cracks are not uncommon. Many roads have suffered in the wake of earthquakes and floods and have been only partially renovated. However, there are well-tarmacked roads between Quito and Guayaquil, Latacunga, Riobamba and Ambato. Ecuador has a very high road accident rate. It is common for drivers not to stick to basic safety rules. Quito and Guayaquil have a good network of buses with set prices. As in many parts of South America, long-distance buses are the best way to get between two cities. Bus connections on tarmac roads are reliable by local standards. It is worth reserving a seat for the main routes between Quito and other cities, as these quickly fill up. Quito has two bus stations: Carcelen in the north and Quitumbe in the south. It is worth noting that buses in particular often suffer accidents, so it is better to avoid travelling in the night. 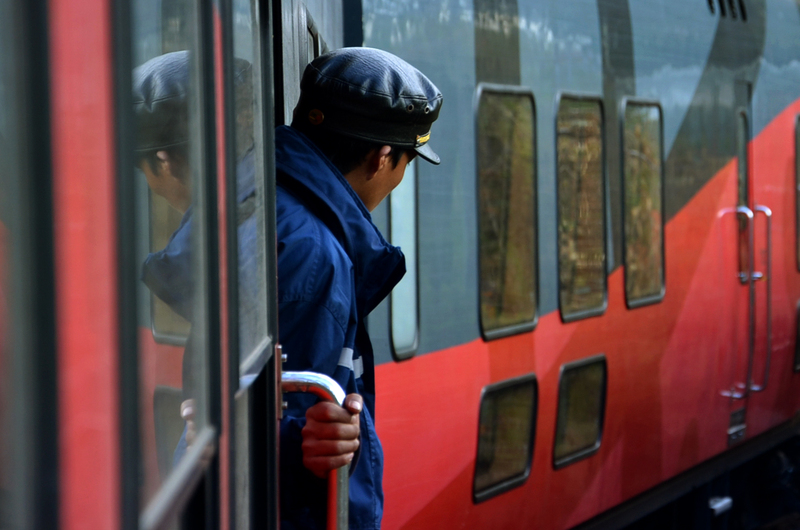 In Ecuador, old train routes are gradually being reactivated. They go from Quito to Latacunga, Riobamba to Urbina, Riobamba to Colta, Alausi to Sibambe, Ibarra to Salinas, Duran to Bucay and El Tambo to Coyoctor. The so-called “Devil’s Nose” (Nariz del Diablo) runs from Alausi to Simbambe, over a snaking route through the mountains and gorges, with an extraordinary view. The historical Tren Crucero runs from Quito to Guayaquil (www.trenecuador.com) in four days, as well as from El Tambo to Baños del Inca, from Ibarra to Salinas and from Riobamba to Urbina. Taxis in Ecuador can be cheap when you travel with several people. In larger cities, a meter is used at least during the day. At night, the price must be haggled with the driver. Cars can be rented from international companies like Avis and Sunny Cars. Guayaquil has the most significant port in Ecuador, but there are few cruises. Other port cities are Puerto Bolivar, Esmeraldas and Manta. There are rivers in the Amazon area that are suitable for travelling, if only by canoe. Ships to the Galapagos Islands are rare, as most people fly and then cruise around the islands once there. According to a 2012 census, 83% of the population calls itself Catholic, with 10% Evangelical and 5% atheists. Other answers included Jehovah’s Witnesses, Mormons, Buddhists and other spiritual beliefs. 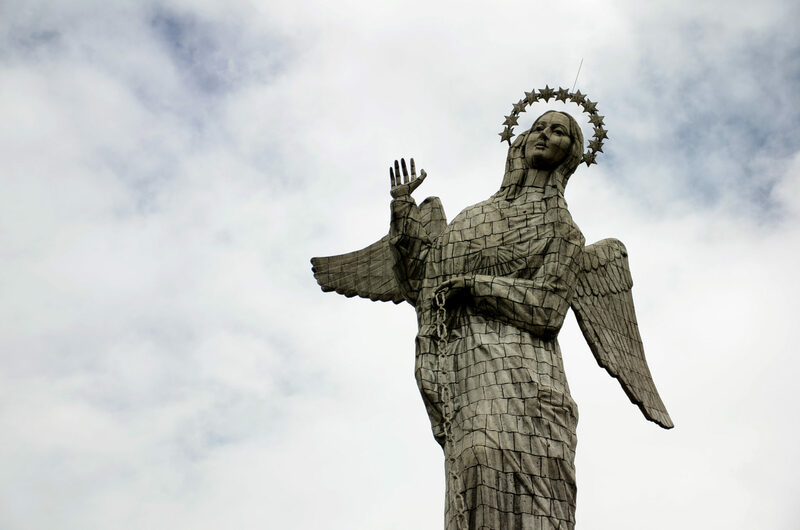 The Ecuadorian Catholic church is one of the most conservative confessions in Latin America, with great influence on the population particularly in rural areas. In Quito and Guayaquil, this matches European standards. In rural areas it is often not sufficient – for hygienic reasons if not for technical reasons. The foreign office recommends vaccinations against tetanus, hepatitis A and diphtheria. For stays longer than four weeks, vaccinations against hepatitis B, typhus and rabies is also recommended. If you are travelling into the Amazon region (Morona, Orellana, Pastaza, Napo, Zamora and Sucumbíos) or the eastern Andes region, a vaccination against yellow fever is recommended. 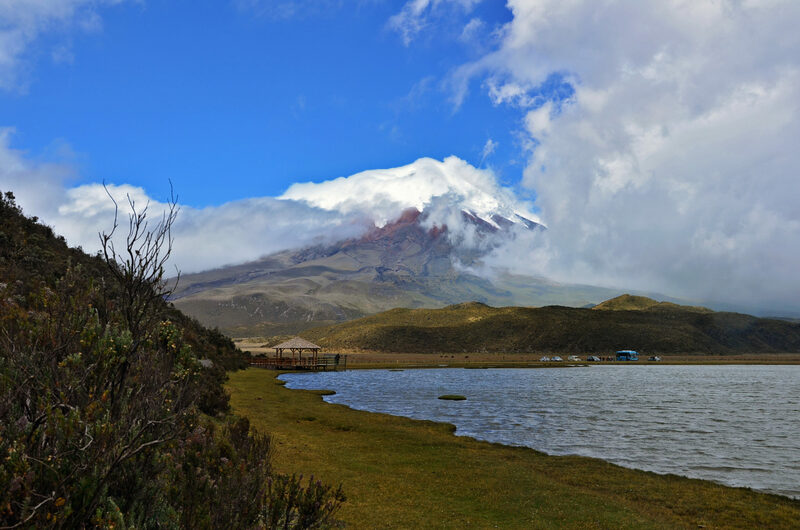 Some people may experience effects of altitude sickness within the first days of arriving in Quito, due to its height at 2,800m above sea level. Inexperienced climbers should allow themselves a few days to acclimatise before attempting to reach any peaks. It is recommended to get expert advice before your trip. Dengue fever is spread endemically by a type of mosquito, active in the day. It can cause serious damage to your health, even fatal. There have been dengue outbreaks in the provinces of Guayas, Loja and Esmeraldas. 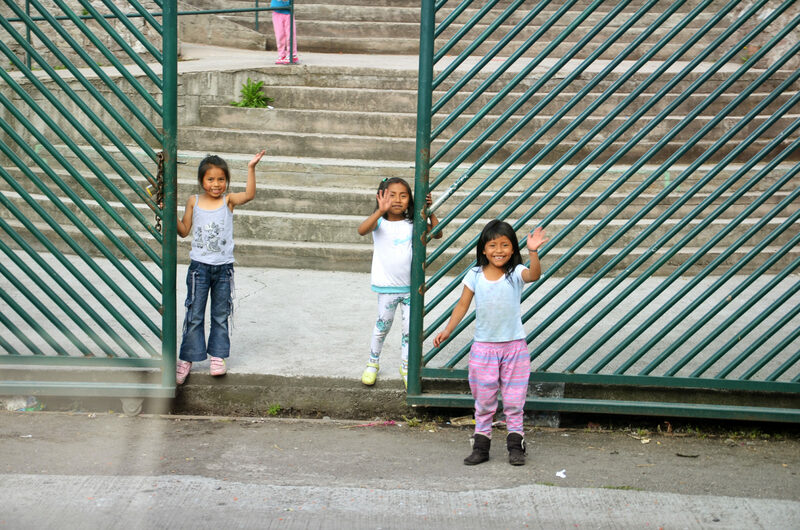 Malaria is a big problem in Ecuador, especially in rural regions lower than 1,500m. In the night, it is spread by anopheles mosquitoes. If untreated, Europeans who are not immune risk fatality. Malaria can break out weeks or even months after the initial mosquito sting, meaning a doctor should be consulted immediately if you experience fever after a trip to Ecuador. Make sure to bring malaria tablets with you and if in doubt, consult an expert before your trip. Mosquitoes also spread the Zika virus in some areas of Ecuador. This endangers unborn children, meaning pregnant women and women wishing to get pregnant should protect themselves from stings. The virus spreads similarly to dengue fever, but there is neither a vaccination nor tablets. The foreign office can provide more information. The risk of a life-threatening HIV/AIDS infection exists in sexual activity and drug use. Do not drink water straight from the tap – either buy bottles or boil the water first, even when brushing teeth and washing dishes. Food should always be peeled, boiled and disinfected. Each region of Ecuador has its own specialities, with Spanish, indigenous and African influences. The best-known dish from the Andes is cuy – grilled guinea pig, which goes back to the Incan times. The best places to try this are Cuenca, Loja and Ambato. Another Andean speciality, the fried pork is often served with llapingachos (made of potatoes), choclo (a type of maize) and avocado. Maize is the basis for almost every meal, especially in the highlands, whether boiled, roasted, or made into flour or popcorn. Ceviche is popular on the coast – seafood like mussels, crabs, calamari and fish, marinated in lemon juice with onions and herbs. It is served cold, with popcorn. In the highlands, all kinds of soups are popular – caldos (broth), sopas (thicker broth), locras (creamy soup). There are also casseroles like sancochos (simple) to secos (with rice). There is also locro de papa, a potato soup with cheese and avocado. The dishes from the region of Oriente are best tried while there. These include yuca (manioc) and cooked bananas. Pan de yuca, a bread made of manioc spices, is also common. Fish like tilapia (bass) or carachama (catfish) are served. Piranhas are popular among locals, although fishing for them was banned a few years ago. There is even turtle, monkey and armadillo meat. Chicha, a traditional indigenous fermented drink, is an acquired taste for European tongues. It is made in the Amazon region from yuca and maize. The alcohol content can vary depending on fermentation. Chicha used to be made by women chewing yuca and spitting into a pot to start fermentation. 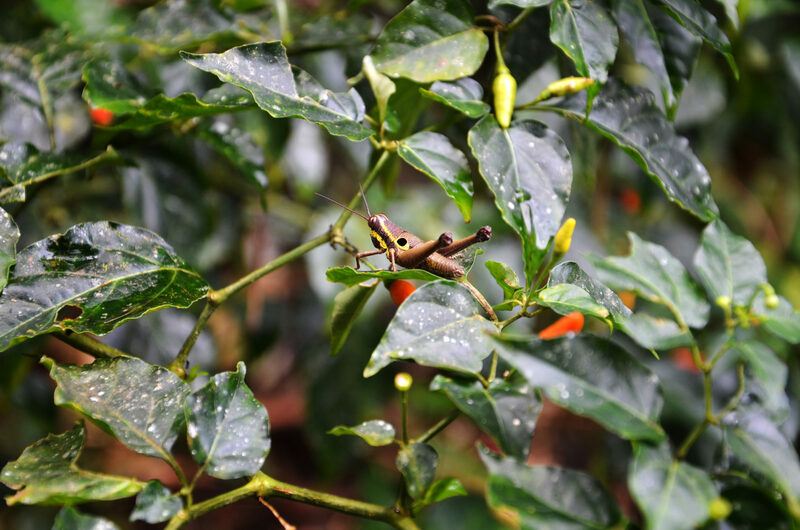 Coffee is a big export of Ecuador – however, in some rural areas, only instant coffee is available. Whether trekking in the Andes, going on a rainforest expedition or doing a cultural tour around Quito, Ecuador has something for everyone. 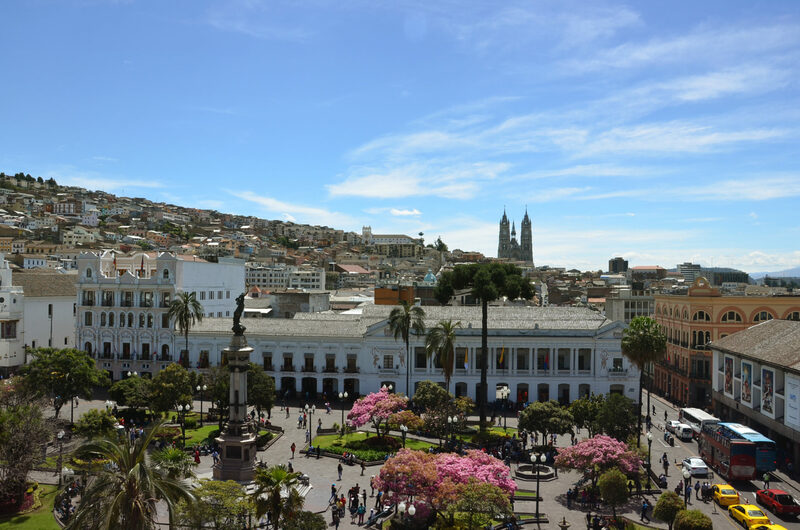 The capital of Ecuador is one of the most beautiful capitals on the continent. It is 22km from the equator, right on the slopes of the Pichincha volcano with its twin peaks of Ruca and Guagua. The old town has narrow alley with diverse architecture, old churches and renovated houses, centred around Plaza Major which has a cathedral, city hall, bishop’s palace and governmental buildings. 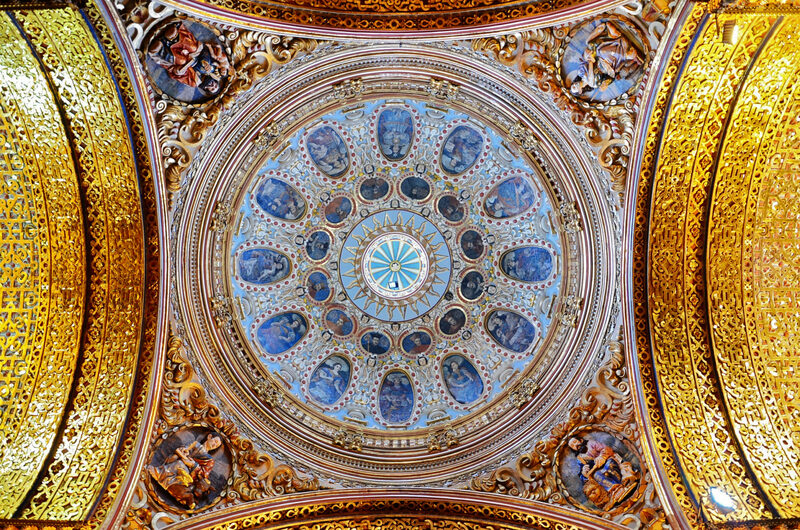 The San Francisco nunnery and La Compañia Jesuit church are worth visiting. In 1979, Quito was made into a UNESCO World Heritage Site. Ideal for hiking and riding as well as climbing the 5,897m high volcano Cotopaxi, the highest active volcano on earth. Enquire with the authorities to check if you may climb. Visiting the Galapagos Islands is a dream for many. The rocky archipelago is 1000km away from the Ecuadorian mainland. Its national park and marine reserve belong to UNESCO. Charles Darwin’s went in the 19th century, meeting and discovering many prehistoric animal and plant types. The diverse scope of nature includes iguanas, giant turtles, lizards and even penguins – the most northern-based in the world. The cold Humboldt stream allows them to thrive. Napo is in the part of Ecuador known as the Oriente, in the Amazon lowlands. Napo is an important tributary of the river. 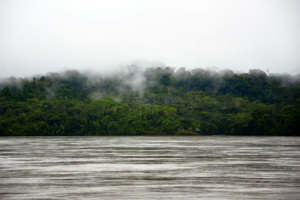 In Yasuni National Park and the Antisana Nature Reserve, rainforest ecotourism has been increasing in the last 15 years. 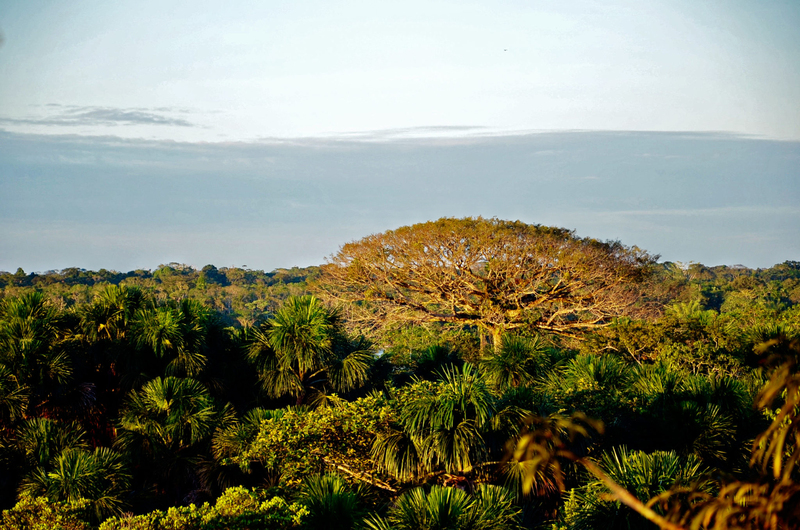 Yasuni National Park is around 250km away from Quito, between Napo and Curaray rivers. 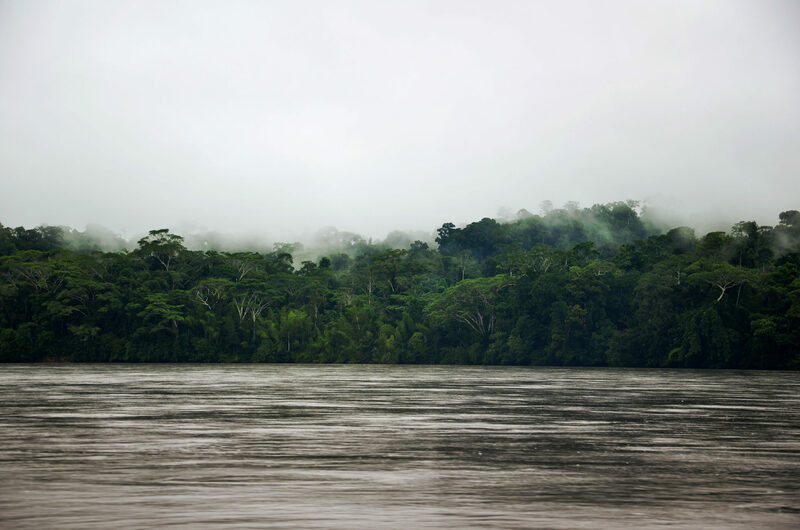 The Yasuni river, a tributary of the Napo, belongs to the UNESCO biosphere reserve. With around 2,274 types of trees and bushes, as well as 593 types of birds, this is the highest concentration of wildlife in the Amazon region. 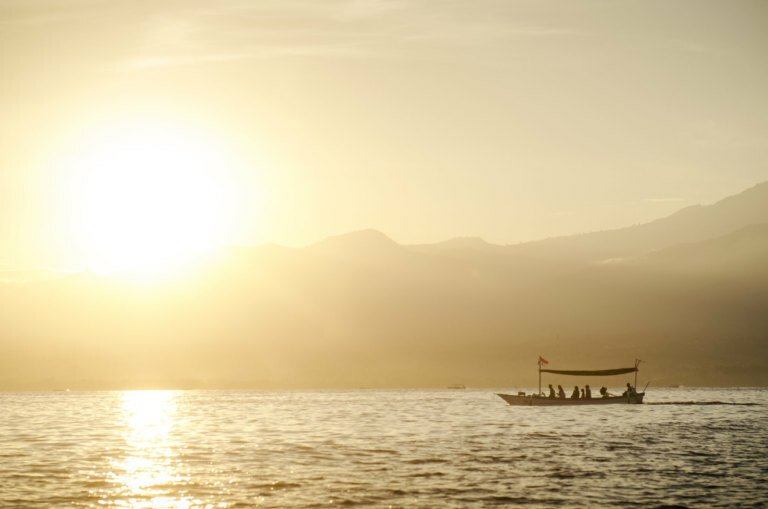 There are also various indigenous peoples living in the area, isolated from the rest of the world. There have been recent conflicts between conservationists, human rights activists and authorities because of companies interested in wood and oil. The spectacular route through mountains and steep slopes from Alausi to Sibambe is the best-known train connection in Ecuador. However, due to weather or technical difficulties, it does not always run – make sure to check before a planned trip. It is run by Ferrocarriles del Ecuador. Cuenca was built in 1577 on the ruins of the Incan city of Tomebamba and is the third largest city in Ecuador. As well as the flower market and Todos Santos ruins, the main square and its cathedral are also worth a visit. 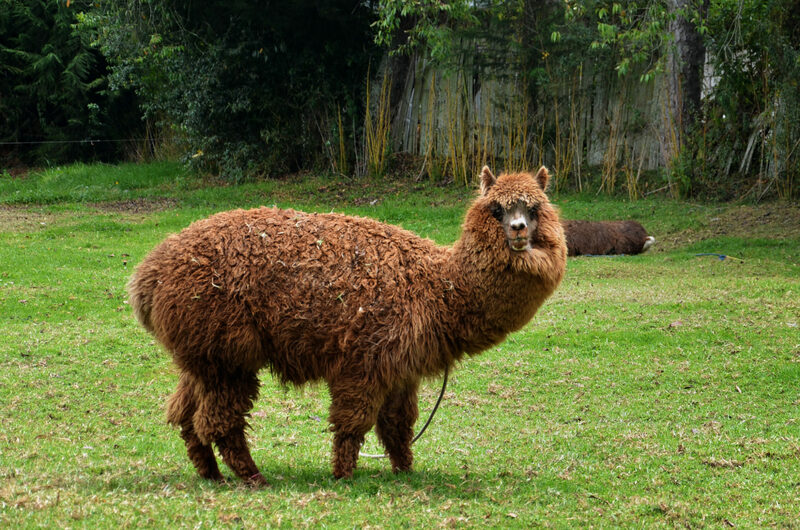 Other cities nestled into the Andes, like Chota and Tulcan, are also recommended. 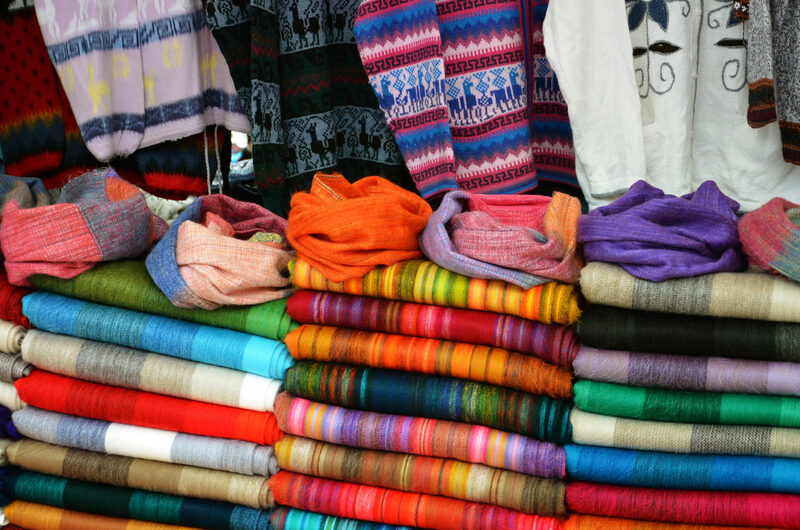 Otavalo is known for its artisanal market, the biggest in the Andes region. A side trip to the 3000m high crater lake Cuicocha is recommended. Guayaquil is Ecuador’s biggest city, economic centre and main port. As well as governmental buildings, go to the Paseo de las Colonias promenade, Santo Domingo church, La Plancha fortress and the Las Peñas quarter. 3300m in the sky, Papallacta is known for its thermal baths. Ecuador is fairly affordable. Backpackers can expect to spend €10-20 a day, while the average traveller can spend €25-35 a day. A beer costs €1.50, a Coca Cola €0.50, a bunch of bananas €0.30 and lunch comes to €2-4. Even if the internet connection is not fast, most hotels and hostels in Ecuador have WiFi. Even the smallest villages have internet cafés, or you can use your smartphone. A local SIM card with credit and data can be obtained for a few dollars from Claro and Movistar. The Lonely Planet Guide to Ecuador & Galapagos has all the relevant information in one compact volume. The Culture Shock Ecuador book is recommended to first-time travellers to South America.